View of waves breaking onto rocks at The Sunshine Coast. I have always loved the sight of waves breaking onto rock formations on the North Coast. 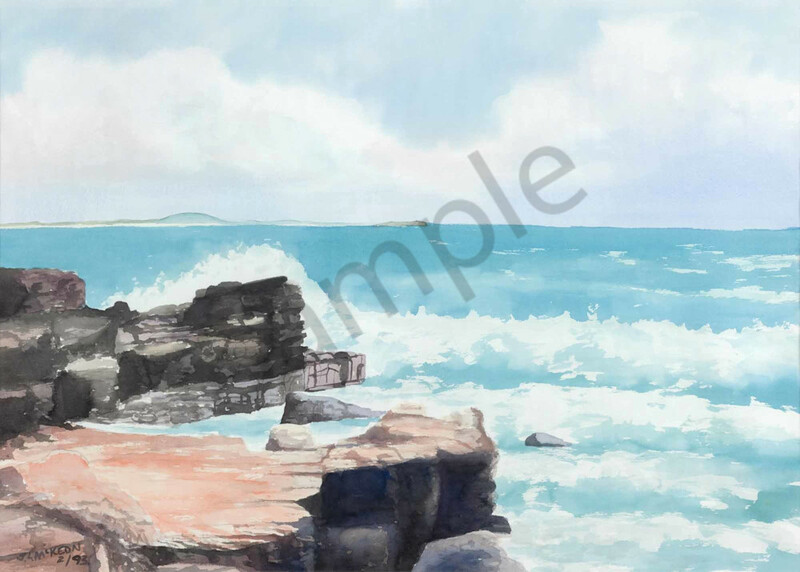 This painting contrasts the warm orange, sienna colour of the rocks with the cool blue of the sea and sky. It brings back memories of many happy promenades along the beaches near Caloundra and Mooloolaba.